Today, when I woke I was praising GOD for the sunshine, grateful for another day, and I was reminded that we must continue to COME out from the world, and it’s ways. when God gives us direction we MUST follow. There are some things that are coming that will test us greatly as Children of God. We must be ROOTED in HIS word. Because if we are not, it will be easy to sway us away. Sometimes out of no where the enemy growls. We know when it is the enemy because he creates fear and terror. God creates Godly fear and reverence. They are very different. Thinking more about the movies we see, there are many designed to MOCK God. But, the LORD is not surprised. He says to us come out from this world, and commands us to be alien of it. Yet so many are communing with the rebellion. It MUST be a daily choice. In fact sometimes it has to be with every deep breath. As a parent, wife and daughter there are many roles to play. But, as a child there is really only one, which is redeemed. To be able to give myself the GRACE through Christ to heal and grow in HIM, and to be able to give it to others is crucial. Often, this means stepping back. It means walking away from things that appear to be good but really may not be. It also means standing in what is and may look like it is not. Standing up and praising GOD no matter how it seems! 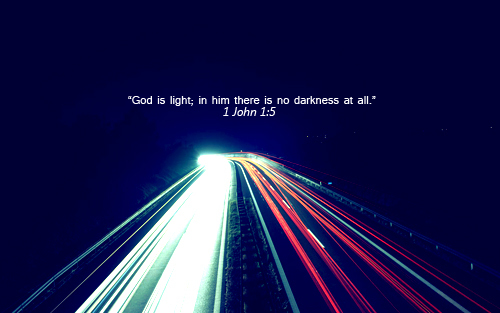 See, GOD calls us to come out of the darkness into the light. He is very clear that we cannot get to Heaven by worshiping other gods. Yet so many do this, and look at the world. Anyone can see God is not amused, for He is a jealous GOD. He is waking up HIS warriors, whatever it takes. I personally repent daily, even if I did nothing wrong that day that was obvious. Because, God deserves to have a pure heart to LOVE HIM. He is worthy of ALL praise. As wives we are called to be partners to our husbands. Yes, the word says The man is the head under God, but it does not mean that he is to LORD over us in arrogance, pride or control. The woman is the manager of the household, which means the man should also listen to God in her as led. A great example of this not happening is Pharaoh. His wife warned him not to go against God. He did, and we all know how that turned out. It was disastrous for them. I want to be a warrior who is BOLD as a LION, yet I have been trained not to be by this world. My prayer daily is that any weakness in me or around me be burned by Holy fire. Refinement is NOT easy, but oh so necessary. Last night our daughter came out and confessed something to us, she said she plays a game with us at nighttime to mess with us. But, she also said she was tired of it, and did not want to do it anymore. We were grateful to hear that, because it was an answer to prayer. God keeps no record of wrongs. We said, we love you and this is something you must work through with God. So she went and read her bible, prayed, and spent time with HIM. It was bedtime anyway, so that worked out great. 🙂 This morning she woke up in peace. God is dealing with her questions about who she is, and where is her place, just like ours. He goes after every single sheep. 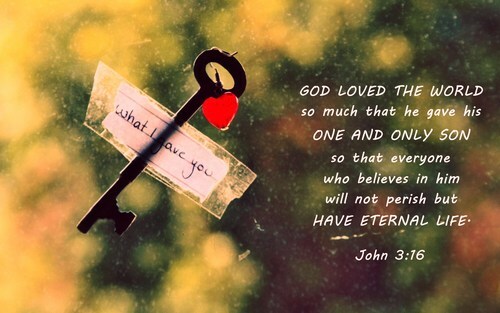 Oh, how He loves us! God will always keep LOVING and that LOVE is what will UNDO the hate of this world. As He is, so are we in this world. That is what we know. But, it must be HE that moves in us to complete the tasks, He alone will bring and receive the GLORY. We share these things because so many are at their wits end with things. Wondering is it EVER gonna get better? Wondering when real change that is pleasing to GOD will come? When we go to the word, it shows us that God’s timing is perfect. He makes ALL things new daily, and HIS JOY is new every single morning. It will come, hang on. HELP IS ON THE WAY! The enemy is NOT going to stop trying, but we must remember that he is a defeated foe, as the word of GOD says. The GLORY of GOD will always outshine the enemy, ALWAYS. Our faith should be so strong in GOD, and we should believe so diligently and consistently in HIM that even if we are forced to do something bad, it will not stick. When God’s GLORY is there, when all the pieces of the puzzle fit, there is nothing that can UNDO it, not even the devil himself. COME out and commune with your KING today!!!! Many of the words that God breaks apart for me are broken by how we hear them. The Bible was passed down aurally for generations before it was written down. The same is true today in that we hear sounds not words. Applying that to today’s words: interest and interfere lets slow them down. Speak them slowly: i hear: In ta rest and in ta fear. 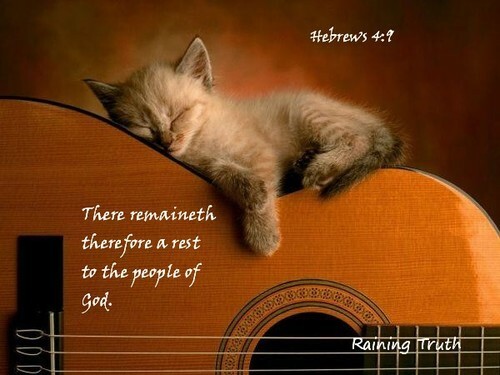 I think its hebrews 4:10 – We are called to strive only to enter his rest. That provides a clue that ‘in ta’ could be ‘enter’. It could also be ‘in to’. In fact it could be both. So interest maps cleanly into ‘ enter into his rest’. Lets see how that checks out with our experience of the word. If I am interested in something then I have to slow down and stop and observe it, notice it, study it. Only those with an interest in something have taken the time to get close enough to study it. You can’t study something at full speed, you must slow down. more strongly the linked to the second. Maybe someone can shed light on the different between inter and enter. I am hearing that inter I implies from the inside out. Today is the 27th, which biblically represents preaching the Gospel of Jesus Christ. If you are working for GOD, you are in the army. 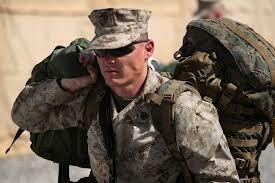 There are some that are led to physically join the military, or army of this world. God has people in place praying for them, for God’s way in it all, protection, wisdom and guidance. The fact is BOTH armies want us. The army of GOD wants us and the enemy’s army too. Now, the main difference in the two is one wants us because of LOVE, the other because of MANIPULATION and CONTROL. Can you guess which is which? God desires to have us united in HIS LOVE, Grace and MERCY. The enemy wants us to fight for control. God is not about control, He is about authority. The authority of Christ is very different than control that the enemy desires. Which army are we working for? Are we praying good things over people? Are we reaching out in kindness or in judgement? God wants us to judge character, and the fruit but NOT the people. When in His army, there is success, it is difficult at times, but it leads to NEW LIFE! Working in the enemy’s army, is being chained, imprisoned. The reason I know this is because, when I was a child, I loved GOD so much. I came into this world hungering and thirsting for HIM. At an early age I began to observe things around me, and it was scary. When entering into the teenage years, I still loved GOD but had been so lost for what seemed like forever. In my eyes, at that age, it was. I remember I just wanted to please God. I did not understand that our existence pleases HIM, and that the only labor He desires is to enter into HIS rest. This does not mean we don’t work, we just do so as He leads. I began hurting myself at age 14. I had been hurting inside for years, but had no way to release that I understood. For 10 years, indirectly off and on the enemy used me in his army, because that self harm gave him legal ground. That spirit of self destruction came out in so many ways. But, GOD, He is our deliver, and He brought me out of the miry clay, and cleansed me once again. In 2000 something happened. My mother died. I believe because there was so much she did not know, God still has her. I trust what HIS word says. When mom died, I died. My heart did not stop beating, but my mother was the one I always turned to, even more than God. I did not understand how that was coming against God. It was like a was wandering around in a strange land. I was making worse choices, and really just in terror 24/7. Thank the LORD for HIS Grace. I am grateful that He is NOT a God of condemnation, and is a GOD of HEALING! It has been 13 years, and no more physical harm. Glory to GOD!!!!! I don’t love sharing this part of the testimony, regarding what I did, and was influenced to do. For years I was so bound by shame. But, the JOY is that GOD set me free, and resurrected me. He does this daily, for ALL of us, willing to receive. This can happen with anything we get free from. Being free means that even if something comes to tempt us, we say no. We do so because we LOVE God more, and desire to hold no idols in our life. His word commands us, no other gods before HIM. Just like in the Military of this world there is warfare, in God’s army there is warfare as well. Many pastors and churches do not like talking about warfare. They say, that is playing with stuff that is not safe. The fact is, if you are not coming to God and seeking HIM to fight through you, the enemy has legal ground to torment you. The STUFF is already playing with you, and trying hard to kill. steal and destroy at the enemy’s command. God’s word says we have been given authority to trample on snakes and scorpions. He says we have been given authority to cast out demons and heal the sick. JESUS is in us, the commander of the ARMY. The LORD has called us to be warriors, yet so many ignore the enemy and pretend his army does not exist. We cannot walk around living our lives in survival mode expecting healing. We have to make a shift into healing mode. But, here is the reason so many don’t receive healing. It is very simple, healing happens according to our obedience. If we are walking God’s walk and not talking God’s talk, or if we are talking the talk but NOT walking the walk, then there is a disconnect. Many of us need spiritual heart surgery. It is really worth it, but oh does it hurt at first. Having the heart of GOD can be excruciatingly painful, but look at Jesus. He is our ultimate example, and for us to do even greater things, than he did, because He does them through us, and intercedes for us, we must stay surrendered to HIS command. We must REST in the TRUTH that the VICTORY is HIS and the enemy is a defeated foe, no matter how it seems. The fact is we ALL have a will, and we must decide which way it faces. Does it face the GOD of Grace and LOVE and MERCY, or does it face one that condemns and beats us with a whip? As for me and my household, we will serve the LORD. The only one true God, Jesus Christ of Nazareth. The Father who gave us JESUS, and the Holy Spirit who nurtures us. GLORY to GOD! Thrilled to be a part of HIS HOLY ARMY!!!!! VICTORY IS WON! IT IS FINISHED! Today, is the 26th, which biblically represents the Gospel of Jesus Christ. It seems appropriate to talk about this topic of an Epic Adventure. Because, being used by God to preach HIS LOVE and word, is a HUGE adventure indeed! Yesterday on the day of Blessing, we went to see a movie called “Epic.” This movie has so many layers. What really hit me is the EPIC adventure we get to be on with God. So many people say that we never know when a day will be our last. So, we must enjoy every single one of them, and make every moment count. The fact is we don’t usually know the exact day when we take our final breath. But, what we do know is this, we have a God who guides us. So, this is the question. 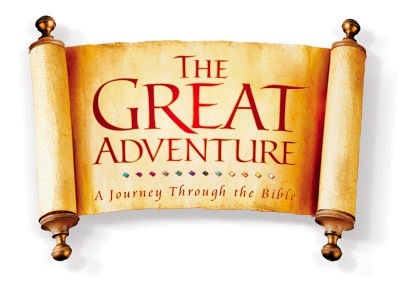 “Is God guiding your Epic adventure?” Because in the film it was essentially good verses evil. It represented an environment that brings life instead of death, even though outnumbered, going against all ODDS. When it is ODD it is usually GOD. we watched the film, and as we did, it showed a human coming into another world, getting a glimpse. This is what happens when we take an adventure into God’s world. God gives us a glimpse of what we need to know, a clue if you will. Everything that is GOOD in our world came from God’s world. It was created by HIS hands. This is why we have to keep up HIS world. This can happen in so many ways. Simple things, like seeing garbage and picking it up and throwing it away. This needs to happen in prayer too. God shows us how to pray and what to pray for. It is part of dealing with the nastiness that is in this world. What if when we physically take out the garbage, we praise God for ridding us from the garbage of this world, protecting us and what he has given us, children, animals, whatever has been given. It sounds strange, and at first it is. But, God has shown us praising HIM will undo the plans of the enemy. It works! 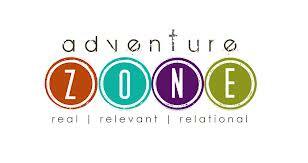 You want an Epic adventure, well you are ON one! IT is a wild ride for sure. IT has twists and turns and ups and downs. God is the one running the show, for our adventure. If the enemy runs the show, only death comes. God alone brings NEW LIFE. There was a time in our life where it seemed everything was dying, or being threatened. It was a VERY tough time, we rarely saw sunshine, and when we did, we did not experience it. God would give us blessings, and we would enjoy them, but we did not let HIM use them to heal us. We essentially fought HIM tooth and nail. Because there was no one that was showing us how to receive. We began to seek God’s word, and that He lead us to whom He desired for us to connect. We are thankful He showed us that we had PAIN deep wounds that needed major repair. God basically did Roto Rooter on our souls. Even now daily, we must choose HIM, and surrender to HIS ways. It is how the adventure continues. Because what we are on is a JOURNEY of FAITH. There is no more Epic ride than this!!! 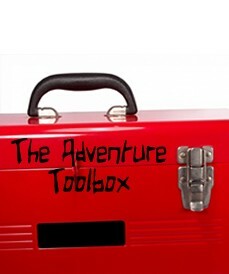 GOD gave us an ADVENTURE TOOL BOX! We have faced a lot of evil, and God promises we will face more. But we must remember that no weapon formed against us will prosper. Sarah Elizabeth had a dream about death. She said mom, I died in the dream. I said, “Well, even death cannot stop what God has planned! God is a resurrection GOD!! !” She was like, “really?” Children must learn that GOD alone protects us. We can use weapons of this world, but it is best to use weapons of HIS world. While watching “We Bought a Zoo,” we began praying about animals. See our daughter Sarah Elizabeth has a major call on her life pertaining to animals. I said, “Maybe someday we will buy a Zoo.” Because we have to put the dream out there. The word says to speak it as if it were. This is speaking FAITH! It means, no matter who tries to talk you out of it, or discourage you, basically who the enemy uses, you CHOOSE God, and HIS LIFE for you, and HIS dreams and desires. What has to be shared here is, the more we FOUGHT God, the more exhausted we were. Every thing was exhausting. Now, we are learning that Life is meant to be exciting, NOT draining. God wants us to have fun for sure, but we have to be careful and VERY aware. The enemy roams around like a lion seeking whom to devour. He is NOT a lion he is LIKE one. Only GOD is the LION, The LORD our GOD is the LION of JUDAH! There is a spirit of amusement, and it causes us to only want FUN. There is a time and place for it for sure. WE have fun daily, but because GOD is at the core of who we are. The circumstance does not kill the JOY. The laughter does not disappear if there is crying. God is a God of hidden treasures. To be a part of HIS adventure we must learn to grow in HIM and receive HIS treasures. He sent HIS son for our NEW LIFE ADVENTURE to BEGIN! 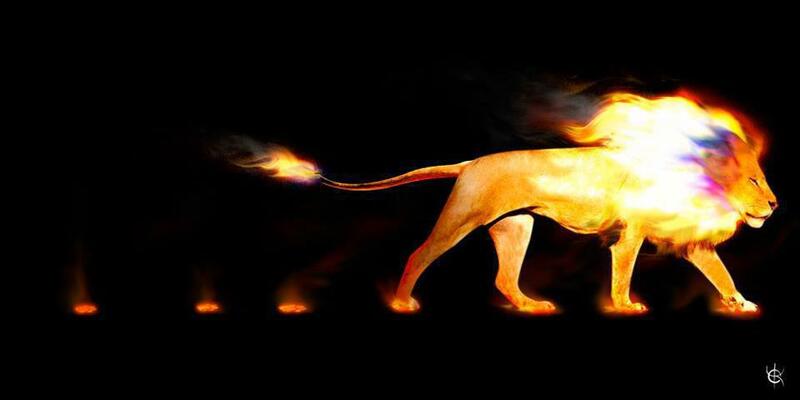 THE LION OF JUDAH orders our steps. Choose this day to let HIM order yours! This is because those people were used to heal others, but never came to know the LOVE and intimacy of God personally. God can USE anything but He excuses NOTHING! Each day as Children of God, we turn our back on anything evil, and seek God’s Face, because He made us in HIS image. So, if we don’t interact with HIM, how can we help others, or experience healing? When a child acts out it is because there are things influencing the behavior. It could be because there are evil spirits around, and it could be because there are soul wounds involved. It is usually both. We cannot fix behavior with just psychology. Because that does not bring permanent long term healing. We cannot fix it with just medication because that does not bring it either. It can only be fixed by the power of GOD. He is our healer, and no one else can do what they do without HIS guidance and expect it to last. Jesus heals forever. His healing is truly EPIC! God does not require us in church every Sunday. He does require us to fellowship with other believers, and to spend time with HIM. Jesus came to fulfill the law, which means that we can now receive HIS Grace on a new level. So many are stuck there, in that place where they know NOT how to receive God’s LOVE. He came to SET the captives FREE so why are so many who claim to TRUST God CAGED and IMPRISONED? I AM not defeated…for I AM is within ME! Today is the 24th, the Biblical number of Royal Priesthood. We must remember something very important. WE are a part of the greatest ROYAL family ever!!! We are ONE with Christ. Why are people drawn to the Royal Family in England? It is because we are ROYAL! Today, we must speak that I am NOT defeated, for the GREAT I AM is with me! But the enemy is a defeated foe. This means that he cannot do anything to God’s people without permission. Awful things happen, but they happen in part because we don’t have tools and weapons that are spiritual actively in use. 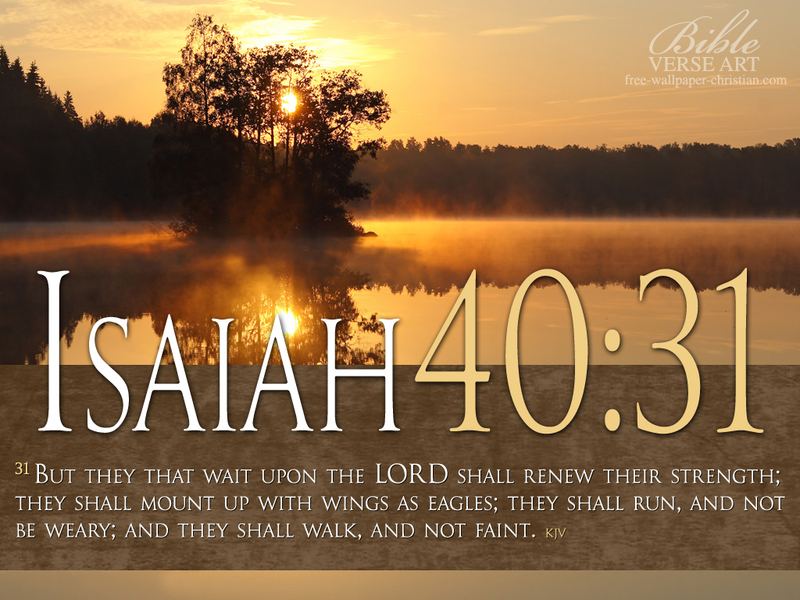 When the LORD says wait, it has so many meanings. It means we stand in FAITH expectantly, and trusting HIM. It also means we serve HIM with gladness. 🙂 When He does it through us, it is successful!!!! He never FAILS! We have accountability. We are responsible for our choices, and in some cases lack of choices. Because God created us, in His image. This means we represent HIM. 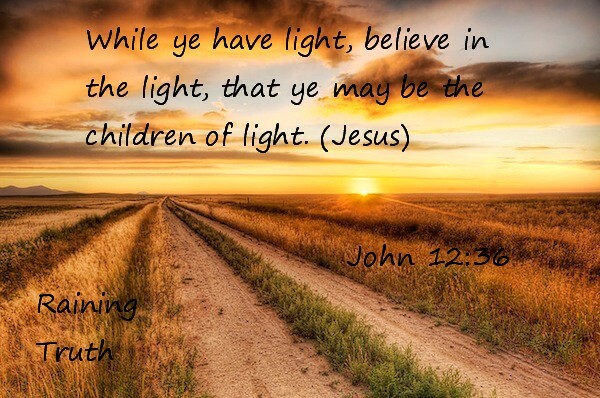 Today our daily prayer is that God will have HIS Glory shine on this earth. But, the thing about God’s Glory is this, when we are in SIN, and serving something other than God, it does not feel good. Glory rain can at first feel like acid rain. For example, many studies have been done about fibromyalgia. What has been found consistently is forgiveness therapy, teaching people to forgive themselves and others has been most effective of all treatments. God knows what we need for healing to be completed and sustained. We need HIM to be sovereign in ALL ways, and to live UNDEFEATED through HIM! Daily we must come to the LORD, with a repentant heart, seeking HIS healing. Because when Christ was crucified, He took our sin. It was a clean slate, it was to be an example of death to self daily, it was to show us what must happen to be in union with God. There is always more FREEDOM that can come, because we were promised challenges here in this world. God is NOT a God of condemnation. That is the enemies job. God is a God of correction. Looking around at the world right now, it seems so many are not open for correction from God. But, it is just how it seems, we must know that we know that we know, that God is working behind the scenes to undo the plans of the enemy. Why did Moses not get to see the promised land? His PRIDE kept him out. Why do we let ourselves stay defeated, our PRIDE. Why do we push ourselves beyond our limits? Because of our PRIDE. Look back at the garden of the Eden. It became the garden of the enemy, it is why Adam and Eve got kicked out. God would not let anything that had been infected by the devil to stay. How could He? In a world that was full of purity, goodness, and LOVE the SIN and darkness cannot exist. It was out of love that God made this decision. Because God loves humans so much! Any great parent has to discipline!!! This can be with a child, a pet, or even self. This world says don’t spank, yet God says spare not the rod. When we spank it is not to hurt, it is to correct. God is clear on instruction, but this world has given so many bad choices that it is often tough to see the good. But, it is NOT impossible. When sickness comes, start speaking the word of God. When you see your children you have been given act out, speak the word of God. Get into GOD habits! Choose not to be defeated, because if you don’t you will be. His word says His people perish for lack of knowledge and vision. I have known amazing men and women of God who are so deeply wounded. I have been deeply wounded myself as well. But, GOD is a God of restoration, A God of success, A God of Healing. I am thankful that on the most challenging day, He is with me, with us. We are NOT defeated. We are NOT alone. WE do not need to stay silent about the LOVE of God. We must share because it is our destiny. We will not get it perfect, and God has grace for that. 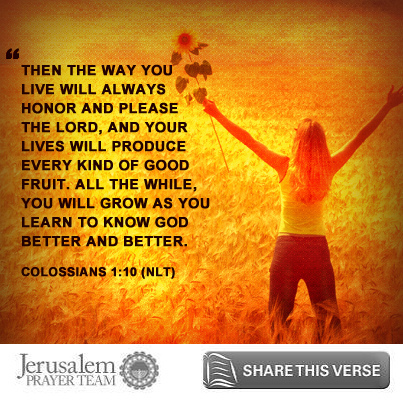 But, as we obey HIM the LORD will perfect our ways and refine us. He will take the sharp edges and smooth them out. I was watching “Thirteen Going on 30″ recently and it was close to the end where the main character says, ‘Let’s put LIFE back in the magazine!” It is my favorite part, because even though it looks like they lose, they actually win. This is so true with GOD, sometimes it looks like we have lost, but the word says our loss is HIS gain. His Glory is never wasted. The one thing that we cannot choose to stay is defeated. Because if we do, then what God desires for us will NOT come to pass. Because He says, “Obedience is better than sacrifice.” At first when we begin being obedient in a consistent manner, it feels like a sacrifice. Many of us have been brought up to lay down the law. God gave us law to help us be contained. But, when Christ came and died for us, there was given the gift of grace. This is the place where we grow, and learn, and experience God’s Glory. 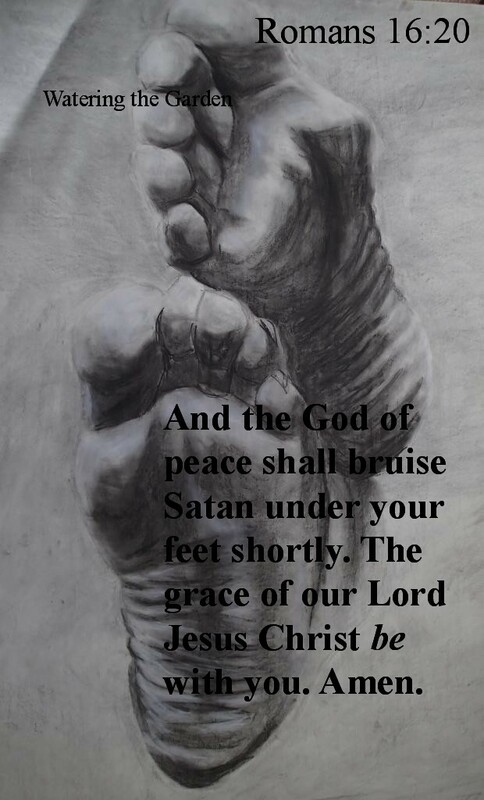 His Grace is sufficient, and we will NOT be defeated! The GREAT I AM is and always will BE the ONLY one whose plans always succeed!!! Father God, we ask today that you pour out more. You meet the needs of many, yet you desire to do so much more. Even though we live in a world scared of lack, we thank you for being a God who is UNDEFEATED. We praise you for bringing us VICTORY just because you LOVE us and we RECEIVE that LOVE! Thank you for turning it around and undoing the enemy’s plans. His name is our Foundation. It is the place where He builds us up. What name have we taken on? 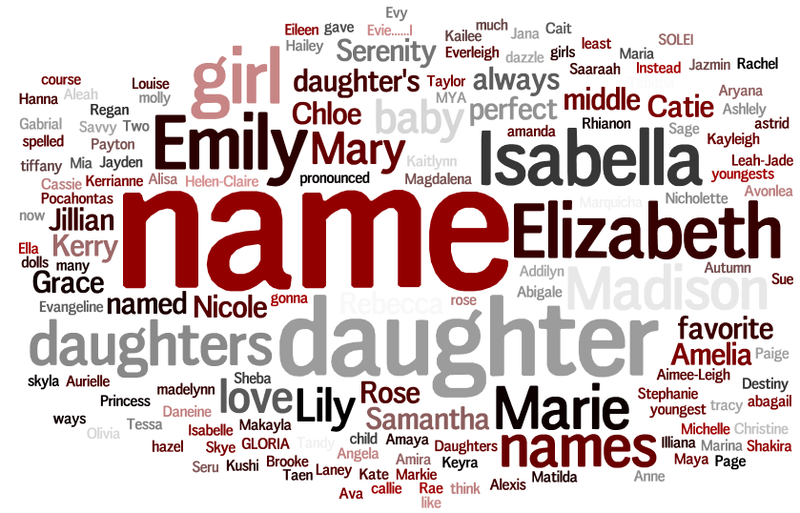 What is in a Name??? This morning when I woke up, I began thinking about and praying about what God wanted me to write about today. It was so important, that I saved this draft, and continued praying over it, and now, the next day, am finally completing the entry. There were so many things that came to my mind, heart and spirit. The one thing that stood out was the word NAME. What is in our name? When we are named, it means something. Last night I was watching a movie with David, and the person had no name. The other day we saw another movie, and a person had no name. I began to wonder what God is trying to teach us through this. I do not believe in coincidence. I have called you by my NAME and you are MINE says the Lord. As I began to seek Him more on this, what I received was simple. Our name that we are given is important. We must understand our identity. But, the name in us is even more important. The name within us, JESUS, is the most powerful NAME that has ever existed, and that will. As Christ is, so are WE in this world. This is a command from the LORD to be like He was when He walked the earth, by tapping into HIM, and learning His ways. The Lord says, He will keep those in perfect peace whose mind is fixed on HIM. Does that mean we will never ever have a negative thought? Not necessarily, because we know the enemy attacks the mind, trying to keep us in FEAR, or put us back there when we have chosen FAITH. When Christ died on the CROSS, the bad name that we HAD was resurrected to a GOOD name! Hallelujah!!!!! He took everything that could ever come against us and take us away from God onto HIM. All sin does is temporarily separate us from GOD. The sin itself is not where the destruction is, it is worshiping the sin, letting it continue to wound us, and damage our relationship with God. 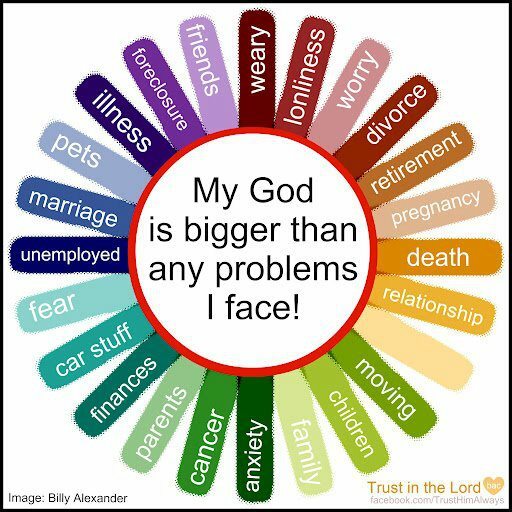 It is what comes with the sin, that is the biggest problem! The LORD works in us and through us according to a measure of FAITH. People have said, “Oh I wish I had your faith.” My response is, “Ask God to do it through you.” Because when GOD does something, HE succeeds! The ONLY thing GOD cannot do is FAIL! Even Jesus went through Heavy persecution. So why would we not go through it to? Yes, our logical mind can absolutely get in the way. This is something God is really working on us with. We now have a new view. We have HIS view. Does this mean we never get affected or wounded? Not necessarily, but when we do, we get convicted immediately and we repent of our involvement. How many of you LOVE people? I do, I absolutely LOVE people so much. 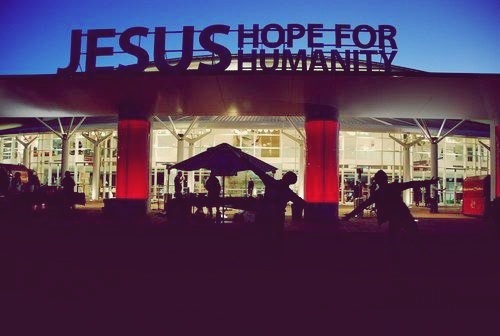 I have a desire for ALL people to come and experience the LOVE and GLORY of GOD. It is something that GOD put there. It is not in any way a religious spirit, though I did have one before. I was all about people coming to know the religion, not the one at the core of it. 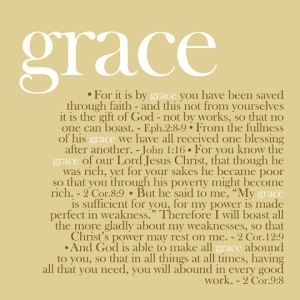 Thank God for HIS amazing Grace to help me learn, and grow in Him. For years, I denied that God had plans for me, and I ran from Him. I ran to so many things. By the time I was done running to people, places, and things, of THIS world, GOD was still there, waiting. He was ready to show me HIS world, but I wasn’t as ready. I was the prodigal daughter, and He blessed me with so much. Guess what I did? I squandered it. Because I had so much in me that was broken and wounded. Thank God He forgives when we say I am sorry and mean it. My NAME was damaged to me, it was awful. In fact, the name I went by as a kid, I changed it because I was tired of being a kid. Also because I hated my name and ultimately myself. I did not understand how disrespectful that was to God. I made that choice, not consulting God. In fact, I was rebelling against HIM at the time. I went by that name from age 18 to 34. Then, God was dealing with me one day on names. In fact, He was dealing with all of us. He showed me that He named me, and that I must know who I am in HIM. I am Eleanor, which means “Fire of God.” See, I always thought it was just an old lady name, But God. He showed my husband that He is DAVID which we know in scripture is a mighty KING who conquered Goliath. As he begins to see himself this way, GOD is moving greatly. Sarah Elizabeth’s first name means Princess. She is a princess of God. All GLORY and honor to the LORD. We are grateful for HIS redemption. I was watching the movie “Titanic.” It has always been a favorite of mine. The scene that was on was where the mother is speaking to Rose about their name. Specifically abt the fact that the debts that they have are hidden by a Good name, and that name is the only card they have to play. I thought wow, if Jesus had not died for us, we would never have a good name. It was very humbling indeed. This morning, while going through the “routine” God reminded me to choose God habits. Meaning, when we do the day to day things, like brush teeth, go to bathroom, eat meals, wash hands, clean house, work, etc….remember to rejoice in ALL things. No matter how it seems, God has an amazing plan in store. Marriages may have been started in lust, but GOD can bring HIS LOVE in. He is a resurrection GOD!!!!!!! Believe it or not, many don’t understand the danger that comes from choosing the enemy’s name. It is talked up in this world, because he is the god of this world, according to the word of God. Many go to church weekly, pray sometimes, and do the best they can to just survive. 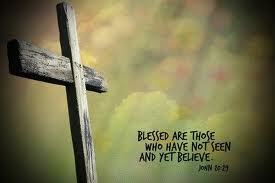 God sees you, believe me, He does. I know, I used to do this too. Just survive, get through the day, our family lived this way, while still trying hard to be transparent. I really believe GOD is tired of His kids just surviving. 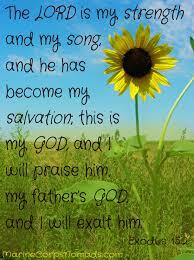 He has a strong desire for us to THRIVE in HIM! He does not want us to strive for anything, because HIS name proves us. His name alone. Even if our name gets damaged, or even what looks like killed, as it is dragged through the mud, and slandered, GOD will resurrect it, because He LOVES us. We have authority in Christ to speak to our lives and see change. His word says we have authority to trample on snakes and scorpions!!!! For greater is HE in US than He that is in the world!!! One last thing, a few weeks ago, Sarah Elizabeth was acting out. God has us in a place of transformation, and change is weird at first. We are earning to embrace it and TRUST God that HIS changes are best. Anyway, it was a Friday evening and she was misbehaving. She was pouting and acting like she was 2 years old. She was whining and then she jumped on the chair, fell off and slammed her ankle on the table. Her ankle was swollen, and as big as a softball. My husband screamed, “Are you okay?” Then, because he was scared, she began to be. So she began to wail and scream, and I said, “Do you want to go to the doctor?” Because see this is how I was trained doctors fix us. But, then, after I got over myself and what was going on, I felt a nudge from God. I was led to ask Sarah E to crawl to her room. It was only a few steps from where she was. She looked at me funny, but complied. When she got there, she began calming down. The words from scripture that came to me were this, we must first learn to crawl, to walk and then to run. When she crawled, even a little bit, she humbled herself before God. My husband came in, prayed over her, anointed her foot with oil, and we watched a foot that was incredibly swollen, return to normal. Within minutes she could walk and run. The word of GOD is a powerful tool. We can never underestimate our Master Physician. His LOVE heals us. Remember who gave you your name today. Think about when the children God gave you were named. Seek God for what the names mean. 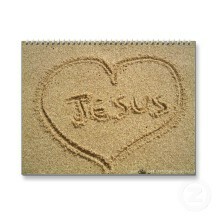 There is A LOT in a NAME, especially the name of JESUS!!! I’ll BE Back, but I AM Here NOW!!! Thinking today about how many are consumed by thoughts of the second coming. Or, just thoughts of what is coming next??? The enemy wants us in FEAR, because when we are consistently in fear we become inferior to his plans. Look around us, this is evident in so many places throughout the world. But GOD NEEDS us in FAITH! God is a TERMINATOR of Evil. This is where the “I’ll Be Back” portion comes from. In that movie, the main character is out to destroy what is attacking them. For those who have seen the film, it appears that they succeed, and then of course, there was another film and then another. Which is fascinating to me, because 3 is the Biblical number of God’s Glory. Yes, Christ is coming back, that is certain. But, should be miss out on the fact that He is HERE now? Because He is, within us, those who surrender to HIM. This morning I woke up and something was off. I was so sensitive to the noise that I left my earplugs in for a bit. I finally got up and started to do the day to day tasks. I repented later for not praising GOD first. I know He knows how much I love HIM. Then, I repented for not consciously choosing to receive HIS LOVE. Somedays it feels like we are saying “I’m sorry” to God more than anything else. I pretty much daily now go to God and say, move in me so that when it is NOT perfect, I do not react negatively. In fact, this is a prayer not just for me but many. The LORD is here, ready to pour out HIS LOVE. Yet, so many are rejecting HIM and claiming they just can’t see it. So many reasons that people do this. But the number one reason is, we tend to worship our wounds, and desire to shoot the wounded. That desire is NOT put there by GOD. IT is planted by the enemy. Even today, I went to GOD in prayer and said, “Help me LOVE the wounded as you do so through me.” Because our number one job is NOT to make people perfect, or even to get them to obey us, it is to be used by GOD to teach them obedience to the LORD. That means, when seasons change, and God reveals this, we must walk away. Otherwise we partake in the rebellion of the ones he has us ministering to. When we are used to share the LOVE and they keep rejecting it, and pretend they are applying it, we will often be pulled away. Have had this happen so many times, but GOD. He works behind the scenes in ways we may not understand, and we give HIM GLORY always. So, today, on this day of REST in the month of Grace and Favor, and the year of Jesus Christ, seek GOD for the HERE and NOW. Choose NOT to be trapped in the past, but receive from HIM today. Because we can only GIVE what we are given. He IS coming back, just as He promised, but let’s focus on what He is doing now. Today, we choose to stand on the promises of GOD. In Jeremiah it says, “The Lord has plans to prosper us not to harm us, plans to give us hope and a future.” GLORY to our MIGHTY GOD! 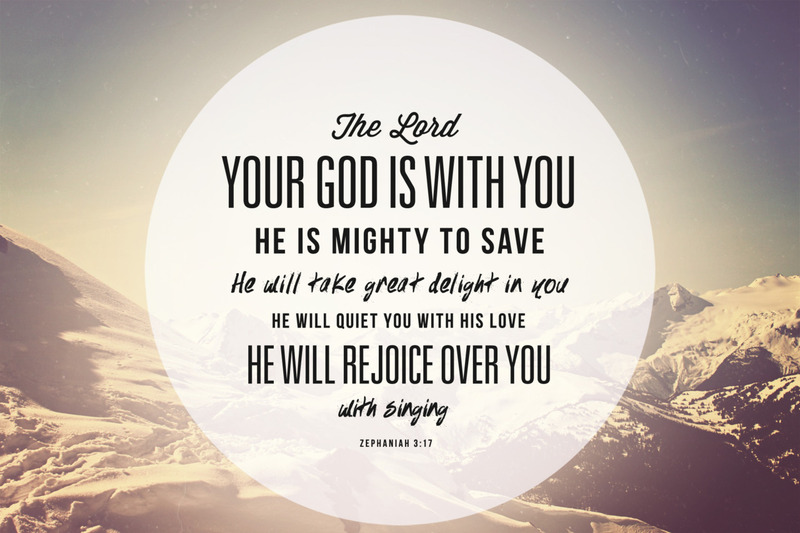 He alone will vindicate US! He alone will RECEIVE the GLORY!!!!! He is HERE right now! Show us your GLORY LORD!